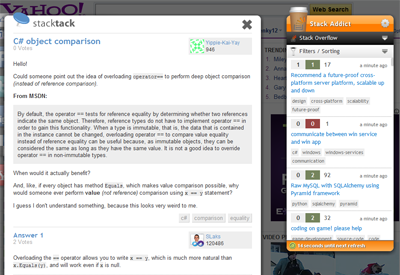 Stack Addict is a question-list widget accessible at any time, from any page you're on. Pressing a simple keyboard-shortcut brings up the question viewer, from which you can search, sort, and filter questions for your favorite StackExchange site. 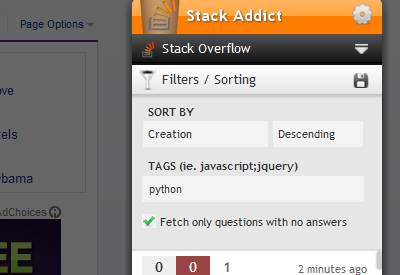 With Stack Addict, you can satisfy your craving for answering questions whenever you're online. 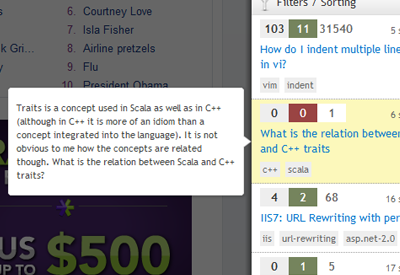 Browse other questions tagged app chrome-extensions soapi.js .